Toronto-based server software vendor Net Integration Technologies was bought out by IBM today, according to an announcement from Big Blue. 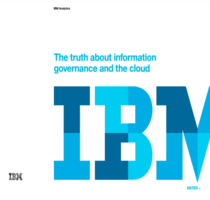 The financials details of the transaction were not disclosed, but the acquisition will enhance IBM’s server software offerings for the small to medium-sized business market who don’t have few in-house IT resources. Its current solution includes e-mail, file management, directory services, back-up and recovery, office productivity tools and other business software.